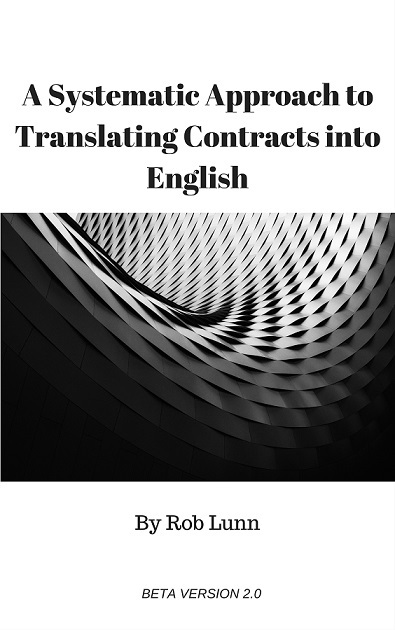 Do you need a contract translated into English? Maybe you’re a company negotiating with a foreign client. Or maybe you’re a lawyer handling an agreement for a client. Either way, you need a contract translated. You have come to the right place. I have thought long and hard about translating contracts (enough to write this book about it!) and can provide you with expert translations that are accurate, faithful and understandable. How will I translate your contract? As much as is possible with a translation, I follow modern English drafting conventions. I try to make the translation as understandable as possible. I use legalese, but sparingly, and only when it serves a purpose or saves words. I translate foreign concepts so English readers can understand their meaning in the foreign legal system. So please contact me via this form if you need a Spanish or Catalan contract translated into English. I can also help you with other legal and business documents.